Despite subfreezing temperatures, demonstrators, many with roots in Iran, gathered in front of the White House to show support for nationwide protests that have shaken Iran. 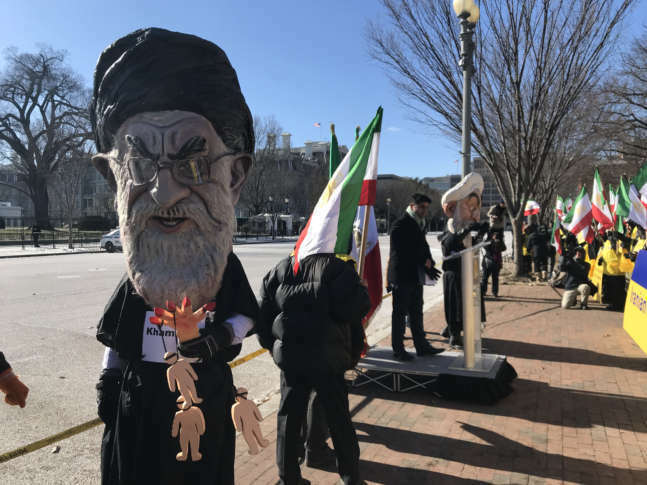 WASHINGTON — Despite subfreezing temperatures, demonstrators, many with roots in Iran, gathered in front of the White House to show support for protests that have shaken Iran. “For liberty in Iran and democracy in Iran we are here to support the protests in Iran that are ongoing,” said Majid Sadeghpour, a Falls Church, Virginia, pharmacist who also serves as political director of the Organization of Iranian American Communities in the United States. “We want the United States to demonstrate and continue to demonstrate moral support for the people of Iran,” he said. The protests in Iran began Dec. 28 and were sparked by a jump in food prices. The protests quickly escalated as they spread across Iran and included calls to overthrow the Iranian government, according to The Associated Press. “Technology companies in the United States have power to provide free, available internet connections in Iran while the government is closing down and clamping down on social media,” said Sofey Saidi of Alexandria, Virginia. The demonstrators waved flags dating back to the rule of the Shah, who was overthrown by the current regime during the Islamic Revolution in 1979.